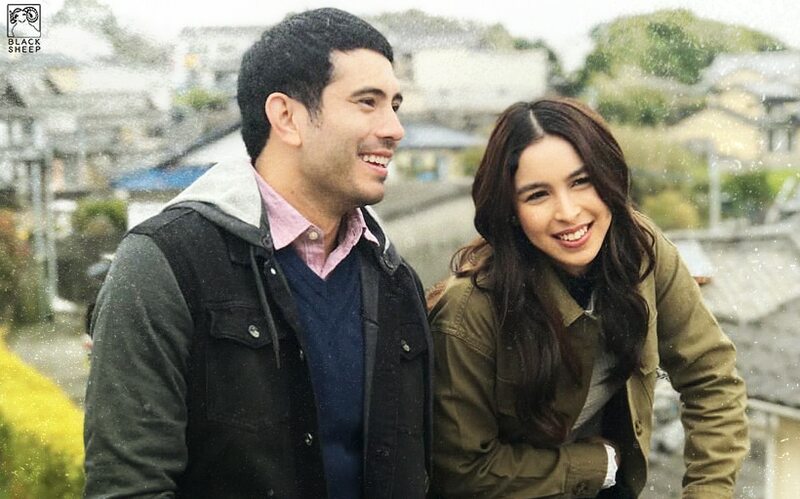 LOOK: You’ll watch Julia and Gerald new movie sooner than you think! Handa ka na bang tumakas with Gerald and Julia? 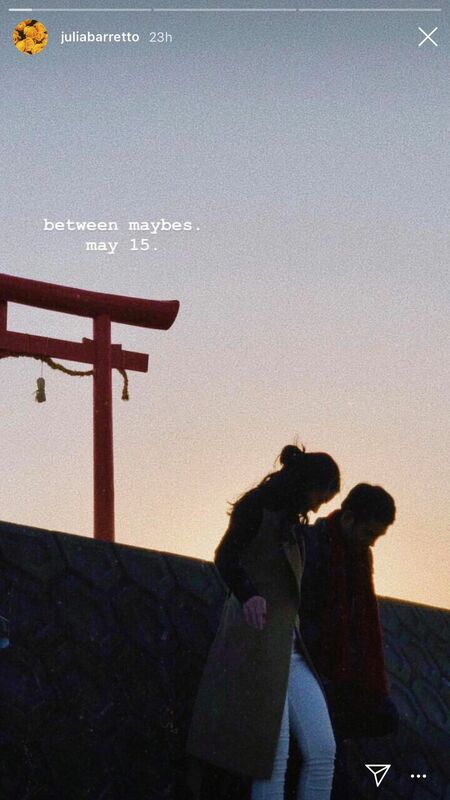 "Between Maybes" will hit cinemas this May 15! 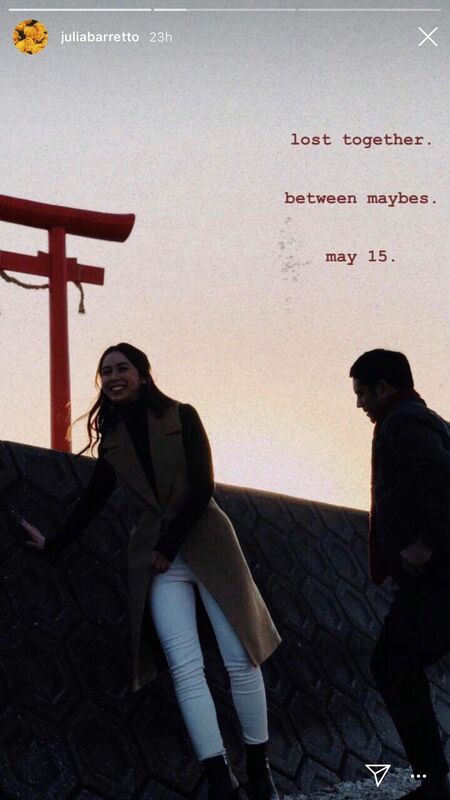 Julia Barretto took to Instagram to share a glimpse of her first movie opposite leading man Gerald Anderson, which is produced by ABS-CBN Films, Black Sheep. Julia will play Hazel Ilagan, a popular actress in the Philippines who escapes her “out of control” life with a trip to Japan. Meanwhile, Gerald will take on Louie Puyat, a simple man working as an OFW. The film was shot largely on location. "Between Maybes" is helmed by "To Love Some Buddy" and "The Third Party" director Jason Paul Laxamana. Julia will also star in Mikhail Red's zombie movie with Ian Veneracion, Ina Raymundo, Joshua Garcia, Maris Racal, McCoy de Leon, and Yves Flores, which is slated to hit cinemas this 2019. Julia Barretto's new Black Sheep film: Everything you need to know! Julia Barretto takes a break from 'Between Maybes' shoot!